W.G. Sebald's Vertigo begins and ends with authors other than Sebald. In the first section entitled Beyle, or Love is a Madness Most Discreet, we're told something of the story of this character and how he decides to become the best writer who's ever lived. 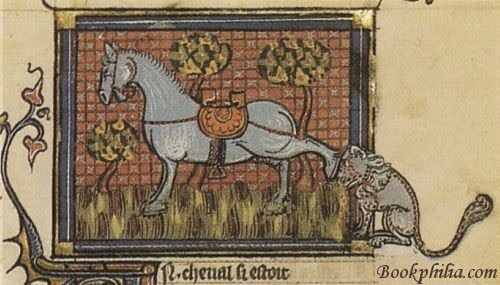 Beyle is, of course, better known to the world simply as Stendhal. How Stendhal becomes the literary lion we know him as now is, however, not really explored in this first section of Sebald's novel. Rather, what we read about is how fragile he is, how utter destruction - emotional and mental - is always dogging his footsteps. 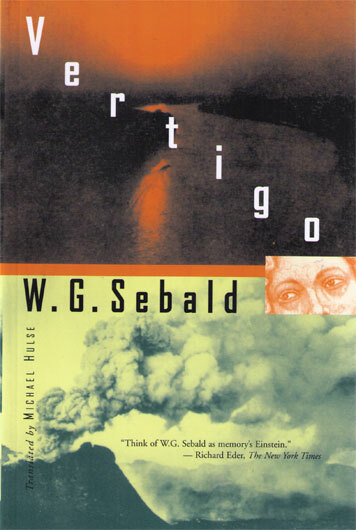 This constantly threatened annihilation is both the result of his commitment to writing and the only thing that keeps it at bay; and this is the thread that runs throughout Vertigo as a whole, as Sebald tells the story of his own (or his closely related narrator's) writing, as well as Kafka's; it is also the story of a number of briefly introduced readers who are all just barely hanging on to their connections to the rest of the world via reading at the same time that reading is their only refuge therefrom. What, then, to make of the book not only concluding with Pepys's diary entry on the Great Fire of London but also of the narrator's seamless transition from describing reading the book to describing the events of the fire as though there himself? And it's not even "himself", for it is a collective "we" that is described as observing the aftermath of the famous city's famous conflagration. To go from creating portraits of the most solitary of human beings and characters to concluding with a collective noun in the midst of great destruction was startling. I'm no doubt over-simplifying quite horribly, but it's as though Sebald (or his narrator - I have no idea, really, how closely allied they are) imagines true human community being possible, not in the face of disaster, but only in reading about disaster. Such community is, in other words, an almost entirely imagined one, one that leaves each of us as solitary and grasping at sanity as ever before. This is a heavy, somber book. I wasn't enjoying it near its beginning but I quickly changed my mind and think, in the end, I may have enjoyed Vertigo more for being structurally loose and subject to constant change (of perspective, time period, etc). Having also really enjoyed The Emigrants, I will certainly read all of Sebald's works eventually. While scouring the interwebs for a shot of the book's cover, I found a website devoted almost entirely to Sebald, which you can check out here. It's written and curated by someone with literary and art history training - which could not be more perfect for Sebald. I highly recommend this site. This sounds like a very interesting book, although not something I would personally read for enjoyment. What did you make of the narrator constantly see people who weren't really there? Dante and King Ludwig for example. I'm still trying to figure out how that fits in. Loved the book though. Stefanie: I think that this reflects how much more real than the present literature and history/memory seem to the narrator; this idea is in keeping with my thoughts on the conclusion anyway. :) He finds it particularly jarring when that family on the bus refuses to engage with him on his view that their twin sons look like Kafka - only through the lens of lit and history can he even communicate with others! Oh, I like your interpretation. I'll be posting on the book tonight. Will you be joining in on the Slaves forum discussion? I think you me and Dorothy are the only ones who finished the book. I will join in the discussion, yes. Will it happen right on the Golconda blog or elsewhere? Terry's Sebald site is a model of the single-author specialty blog, an ideal.